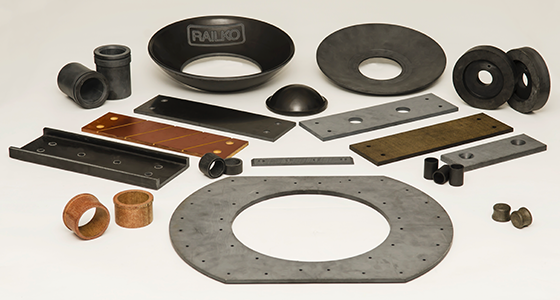 We specialize in thermoset composite materials for bearing applications. 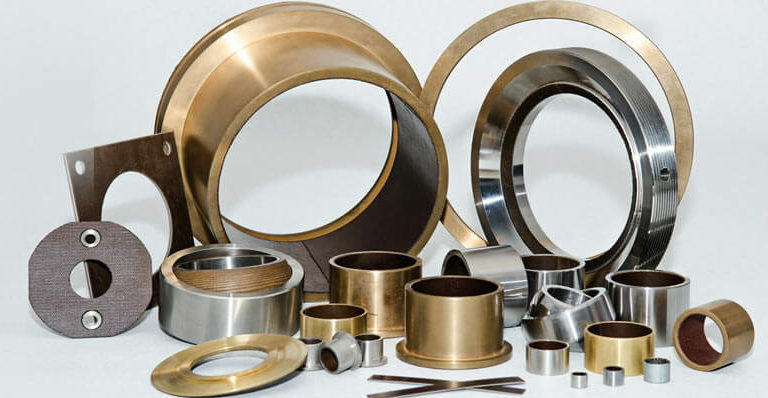 Composites have many advantages over traditional plain metal bearings including that they can operate without lubrication and are lightweight. By being lubrication-free, maintenance costs can be reduced and maintenance intervals can usually be increased since there is no dependence on lubrication systems. Also, our bearings can operate at a wider temperature span than most lubrication greases and oils, meaning that our materials offer the same low friction properties in Northern Canada during winter and in the Middle East. Our range of wearing and bearing materials include world-renowned composites including FEROFORM®, FEROGLIDE™ and RAILKO™. Our bearing materials are extremely versatile and suitable for the most demanding applications in the most arduous environments. Our composite bearings are used in the Rail, Marine and Renewables industries to name a few.